﻿ Bike Trip Provence| Self Guided Tours| The Sights| France. 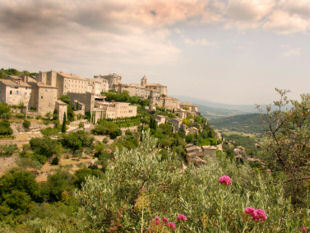 B&B BASED PROVENCE BIKE TOURS - TOURISM & THE SIGHTS. The Luberon and Provence provide a great environment for cycling holidays and outdoor living with superb countryside and stunning, intriguing hill villages. In the relatively small area of the Luberon Park alone, we have four of France's most Beautiful Villages; Roussillon, Gordes, Menerbes & Lourmarin. Plus a handfull of other villages that should probably be clasified too; Bonnieux, Oppede le Vieux, Fontaine de Vaucluse & Lacoste. The area has a varied terrain: from the flat, orchard filled river plain, rolling vine covered hills to quiet, long climbs. Throw in the beautiful Provencal architecture and the quiet country back roads and it should make for some of the best biking you have ever experienced. We'll provide you with our own "Real Provence" guide to the area; with all the popular places to visit (as well as the lesser known but equally good sights), our favourite restaurants, vineyards, lavender fields etc. Whatever your interests, just let us know, and we will be happy to show you the ride that will take you where you want to go. Of course, if you've had enough cycling the car is always an option, with lots to see. Roussillon: Visit the beautiful village and its famous Ochre mines, great bistros, nice market, lavender fields. Oppede le Vieux: A unique, charming, old village that was half destroyed by an earth quake - with a great walk from the village square up through the destroyed houses to the Castle & Church. Goult: A very old, beautiful village off the tourist track, great restaurants & cafes and an interesting walk around the oldest part of the village. Lacoste: A quiet, impeccably preserved village, with a great walk up amongst the houses to the Marquis de Sade's Chateau that tops the village and valley. Menerbes: The archetypal Luberon village - made famous by the book "A year in Provence" - nice restaurants, views, walks, vineyards. Lourmarin: Beautiful village set at the entrance to the mountain pass, they don't come any more French than this village! Fontaine-de-Vaucluse: Picturesque village, famous for the crystal clear water source that flows through it and onto L'Isle sur la Sorgue. Nice walk up to the water source with plenty of restaurants, riverside cafes and shops along the way, interesting history museum. Isle sur la Sorgue: Walk along the beautiful, interesting water ways of Venice of Provence & browse the dozens of antique shops or just stop and have a superb ice cream sundae on the river's edge. Lavender Fields - Provence is famous for them. Biking through them when they're in full bloom, there's nothing quite like it! Vineyards - Try a tasting at one of the numerous, excellent, local vineyards. Provence is renowned for its Rose, but there are some great	whites & reds too. Markets - The choice is large, with a market somewhere almost everyday. The best ones are on our bike routes in Apt, Roussillon & in our village Coustellet. Fort de Buoux - An abandoned village and medieval fortress high on a stony outcrop - really interesting. The Cedar Forest - At the top of the Luberon mountains, great for a picnic. Mont Ventoux - Probably the most famous mountain climb in the Tour de France. Take a drive up it, or if you're feeling fit join the others for the 2-hour grind up what is Cycling Mecca! 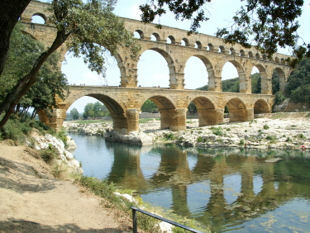 Some amazing Roman sites - Pont du Gard (UNESCO classified Roman aquaduct), Glanum (excavated ancient Greek & Roman village), Arles (Old Roman town with colosseum, theatre, baths, cemetery road & an excellent museum) & Nîmes (Roman colosseum). 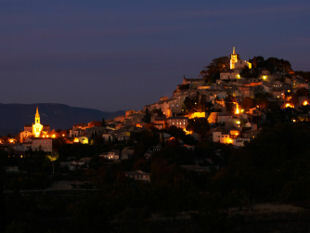 Provencal towns - St Remy de Provence, Avignon, Aix en Provence - all worth a visit. Sights - World-renowned vineyards (eg Châteauneuf du Pape, Gigondas, Beaumes de Venise), Les Baux de Provence (beautiful medieval fortress village), Château de la Barben, Zoo de la Barben. "The towns we visited were nothing short of breath taking. My favourites were Rousillon and Gordes. On the ride there the lavender fields were in full bloom so we stopped to breath in the beautiful scent that filled the air." Danila & Richard - Can - July 18 - Cycling in Provence reviews. "Working out of a home base everyday on our self-guided and self-paced tours was the way to go. We could bike as little or as much as we wanted, leaving enough time for sightseeing, shopping and of course eating!!! The time Neil put into researching and developing the routes one has to choose from for each days ride, made everyone of them a winner." R S - US - Oct 17 - Cycling in Provence reviews. "We were all at somewhat different biking	levels but it didn't matter one bit! Neil put together amazing rides where we saw breath taking scenery, gorgeous little towns with so much history, and fantastic restaurants. " 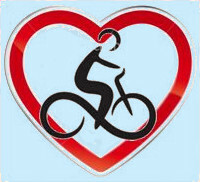 Gail & Alan - US - May 16 - Cycling in Provence reviews. "Sights/scenery: The scenery in the area is breathtaking - many of the roads Neil sends you on are these tiny back roads with nary a car in sight...really wonderful & beautiful & relaxing. And the smells...it may sound weird but the scents here are so great...lavender, honeysuckle, fruit...it's almost intoxicating." 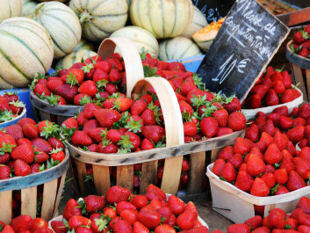 Julie - US - June 15 - Cycling in Provence reviews. "Location: So much to see, all reachable from the B&B. The hub and spoke approach was excellent with so many villages all reachable for a visit. Staying for 6 nights was a perfect combo, enabling us to reach at least 20 towns, without ever duplicating any terrain." Eric - US - Oct 14 - Cycling in Provence reviews. 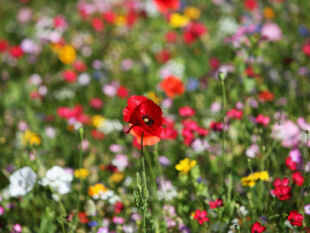 "We had a wonderful 6 days cycling trip in Provence. Neil designed great self guided rides each day to match our ambitions that took in wonderful villages, great lunch spots and wonderful views." Adrian - NZ - Oct 13 - Cycling in Provence reviews. Kim & Annemarie - Australia - May 11 - Cycling in Provence reviews. Donna - US - June 10 - Cycling in Provence reviews. "The B&B is perfectly placed for visits to many pretty villages and attractions. Neil's knowledge of the area is a great asset and proved to be invaluable. His recommendations for days out and places to dine were readily taken up and we were never disappointed." Mark & Gill - UK - June 09 - Cycling in Provence reviews.